Let us create, for you, an elegant & timeless external extension of your home. Download Our Catalog Here to See All the Possibilities. Experience how your life will change once you can spend more time outside. 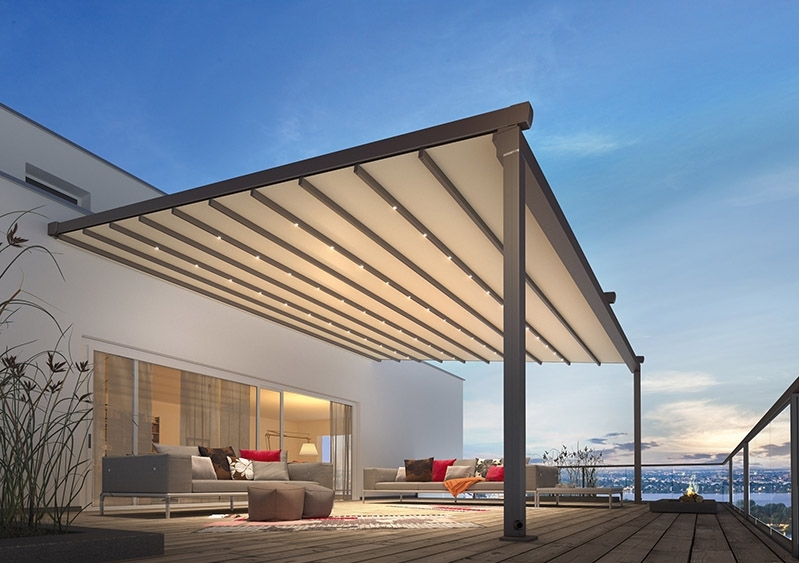 A timeless design & infinite options to personalize ... these terrace coverings adapt to suit your home. Enjoy life in style. A young modern design ... you can place this covering wherever you like - on your terrace, next to your pool or even on it's own in your garden. Ultimate Luxury and wellness on your terrace. Live outside in your stylish and comfortable space. have your terrace roof open or closed ...You can change it at the touch of a button.